Recently in the month of September entire Maharashtra witnessed the Ganesh Festival and a song from Marathi movie ‘ Mulshi Pattern ’ got really hit in the meantime. The name of the song is “Ararara”. When the teaser of this song was being published, more than 10 lakh people watched it in less than 10 days. Other than being popular for catchy lines and good music the song is getting popular for a different reason. 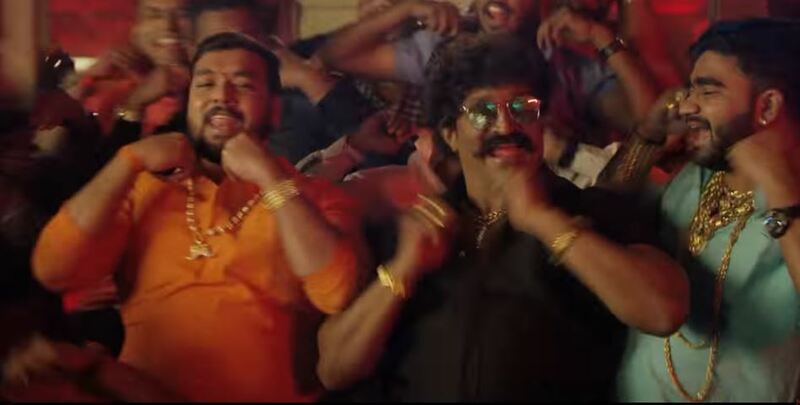 The producer and director have together shot this song with real-time gangsters. Yes ! you read that right, the people dancing in this song are not common people of the junior artist, they all are real gangsters. Farmers are turning into agents gradually, as with farming they are not earning enough money. Thus they are willing to sell their farmland and earn money from it. This leads to another mess as the land worth crores of rupees involves many people which might lead to criminal acts. The young agents think that they must get most of the commission the selling of lands, so they try to kill the other agents, such has created A Gang War sort of scenario in rural areas like Mulshi near Pune city. A village of farmers and tribal has turned into the village of Gangsters in a short period of time. This story is being portrayed in the film named ‘Mulshi Pattern’ by director Pravin Tarade. But now the film is in controversy for shooting a song with real gangsters in it. The song Ararara has a scene in with one gangster cuts the cake by the sword which is inspired by a Criminal Amol Shinde. The person wearing saffron colored shirt is none other than Amol Shinde. Another person with the grey colored shirt is Vithhal Shelar who is the extortion expert for Marne Gang. He is suspect in 2 murders and kidnapping. We see Bollywood filmmakers making films on the gangster in Mumbai. But it looks like Marathi film industry has gone way ahead of them and have started filming the gangsters. After women protests will Supreme Court rethink on Sabrimala verdict?